July 9, 2018 Navy Tanjararak, M.D. 640 slices provide much better risk classification for the screening of coronary artery disease. We get better image quality, because of the many detectors in the CT machine, and because it is much faster than conventional machines. Dr. Navy Tanjararak, most CT scans render 128 or 256 slices. The new CT scanner uses 640 slices. Is this necessary? Dr. Navy Tanjararak: 640 slices provide much better risk classification for the screening of coronary artery disease. Dr. Navy Tanjararak: CT scan is the general term for computed tomographic imaging. Specifically for heart conditions, we call it CCTA, which means “coronary computed tomography angiography”. CCTA serves as an indicator for patients with chest pain. The most important is to exclude the serious condition, which we call ACS, “acute coronary syndrome”. A common word for ACS is heart attack. The accuracy of CCTA with 640 slices to exclude ACS is up to 95%. Please explain how this increased scanning rate improves diagnosis. Dr. Navy Tanjararak: We get better image quality, because of the many detectors in the CT machine, and because it is much faster than conventional machines. Images from old scanners were often blurry and non-conclusive. And despite the heart beating fast, with 640 slides we get good quality images, also of the arteries. The scan is done in the blink of an eye. It’s easier for the cardiologist to interpret the result. 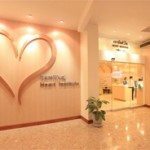 Can this CT scan be used for all heart conditions? Dr. Navy Tanjararak: CCTA is also used for patients with chronic chest pain. Some patients present atypical chest syndrome. 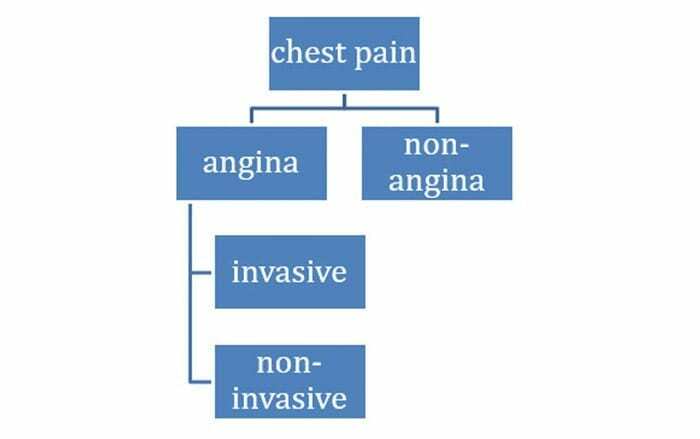 Sometimes we have to differentiate whether chest pain results from angina or non-angina. Angina is chest pain from coronary disease. We use CCTA to exclude coronary artery disease in the stable angina. Those with the disease excluded are low- to medium-risk patients. Also, CCTA is complementary before we go for more invasive procedures, which we call “coronary angiography”. This is a mini-operation. It’s a more invasive procedure, the gold standard to detect coronary artery disease. The 640-slice CT scanner also uses less radiation than previous models? Dr. Navy Tanjararak: Exactly. We can reduce the dose of radiation to prevent side effects from X-rays. The CT scan rotates in less than a third of a second. We can get the image by just one rotation. So the patient receives only one shot of radiation. How does this compare to conventional CT scans? Dr. Navy Tanjararak: One single study with this machine exposes to less than 1 millisievert of radiation, much lower than conventional CT scans which were up to 10 millisievert per study. What other methods you use to screen the heart for coronary artery disease? In general, as cardiologists, we have many patients with atypical chest pain. We have to differentiate whether the chest pain is angina or not. We have many methods to screen coronary artery disease. Exercise, like running on a treadmill, is one screening test. But sometimes the results are inconclusive. This CT scan is more accurate than other tests. The accuracy of the machine to exclude coronary artery disease is 90-95%. What about patients who have coronary disease? Dr. Navy Tanjararak: CT scan can help avoid coronary angiogram, which is more invasive. But we have to select the patients. If the patient presents typical angina, we don’t send him to CT scan. We send him to coronary angiogram. We don’t expect patients with atypical chest pain to have coronary artery disease. CT scans are for milder cases, not for serious cases. We scan them to exclude the disease. This new state-of-the-art scanner is widely used at the hospital? Dr. Navy Tanjararak: Yes, because patients with chest pain increase every year. It’s because modern lifestyle leads to more diabetes, cholesterol and hypertension. Together with smoking these are the major risk factors for coronary artery disease. Some patients have atypical chest symptoms, thus CCTA provides more information. You are making the case for prevention? Dr. Navy Tanjararak: Right. In my opinion the best thing is better prevention. Lifestyle modification is the best option, but if the patient starts to have symptoms it means the prevention failed. CT scan has the important role to exclude the disease. Also, it can be cost-effective. If the CT scan is clear, we don’t need to observe the patient in hospital. Are CT scans suitable for all patients? Dr. Navy Tanjararak: We must select patients without any kidney problems, because for the CT scan we have to inject contrast material, which is extracted by the kidneys. Toxics may remain in patients with kidney problems. How to best keep the heart and coronary system healthy? Dr. Navy Tanjararak: Lifestyle modification. Exercise. I prefer aerobic exercise, which means continuous exercise to increase the heart rate, up to 60-80% of the individual’s maximum predicted heart rate. Maintain for at least 30 minutes, five times per week. You can run, jog, swim, bike, but maintain up to 30 minutes. Plus control your diet. Low fat, high fiber, and stop smoking. Moderate alcohol drinking is okay, one drink per day for woman and up to two drinks per day for man. But some patients cannot stop drinking, which is not good. The scanner also seems uniquely designed to make patients comfortable? Dr. Navy Tanjararak: Exactly. Not only does the wide open bore ensure that patients remain at ease during scanning without experiencing any stress. 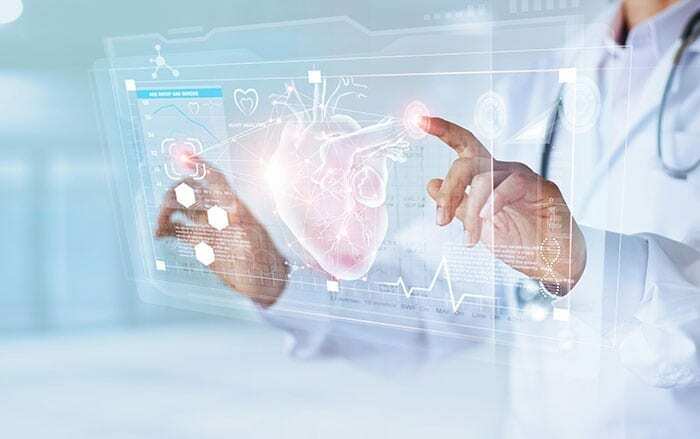 Another key benefit is that patients may get an accurate diagnosis with one scan, instead of undergoing an angiogram, which is more invasive, long and uncomfortable procedure. This CT scanner offers real benefits in terms of comfort. As you know, most people prefer to take a scan instead of having a catheter inserted in their arteries. Programs may only be purchased at these prices until December 31, 2019. A New Standard in Heart Disease Diagnosis CT scan is the general term for computed tomographic imaging. Specifically for heart conditions, we call it CCTA, which means "coronary computed tomography angiography".